In the final analysis, the PA is subservient to Israel and, to a very large extent, answerable to Israel. Netanyahu, of course, ignores the incomparably greater Jewish terror against Palestinians, which is continuing unabated, with full government backing and encouragement. Needless to say, some of the manifestation of this unrelenting terror by both the Israeli military and especially by heavily armed settler terrorists, who have been waging a determined dirty terror campaign against innocent and unprotected Palestinian civilians. This dirty war by the settlers and their supporters, who are in control of government, army and justice system, has one strategic goal: The expulsion and ethnic cleansing of the Palestinians from their ancestral homeland. Some of the settler crimes against Palestinians like the burning alive of entire Palestinian families have fallen within the realm of the unthinkable. The Israeli prime minister, notorious for his dishonesty, is also overlooking the main factor behind, Palestinian protests, namely continued attempts by government-backed Jewish fanatics to take over the Aqsa Mosque which epitomizes the very existence of the Palestinian people on their national soil. Indeed, the Aqsa Mosque is a matter of life and death for the Palestinian people. This is why it is difficult to imagine another cause or issue that would mobilize the people of Palestine and Muslims elsewhere to rise up like al-Aqsa Mosque does. 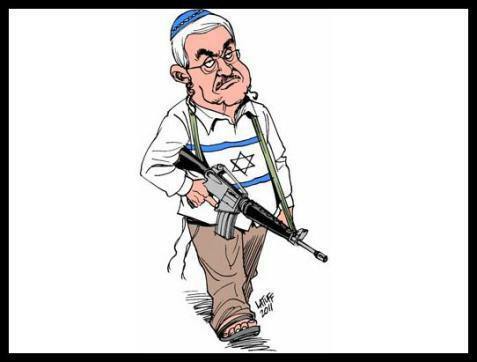 We, Palestinians, know Israeli ruthlessness and criminality too well. We know very well that Israel is capable of behaving and acting like the Nazis did. And we certainly don’t like to see our kids and youth getting killed and maimed by trigger-happy soldiers, taught that murdering Palestinian children is the only way to prevent the occurrence of another holocaust. However, it is abundantly clear that the vast majority of Palestinians will fight and if necessary die for their national and religious dignity, which is being assaulted in the most blatant manner by Israel. Hence, the evolution of current protests in the West Bank and elsewhere in Occupied Palestine into a full-fledged intifada or uprising depends to a very large extent on Israel’s behavior toward the Aqsa Mosque. This means one thing. An all-out revolt against the Israeli occupation will be inevitable if Israel keeps up its criminal designs against Muslim holy places in Jerusalem. We are all aware of the serious limitations preventing the PA from acting as a truly national entity serving the aspirations and legitimate goals of the Palestinian people. There are those who argue rather reasonably that the PA, being at Israel’s beck and call, is a serious liability, rather than asset, facing the Palestinian people and their enduring just cause. There is obviously little exaggeration in this view. The PA has done very little, apart from some symbolic diplomatic achievements, to advance the cause of Palestinian liberation from the clutches of evil Zionism despite protracted talks with Israel lasting for more than two decades. Indeed, a careful examination of the PA discourse reveals that the Ramallah regime, which lives on politically-motivated aid by the US and EU, is effectively chasing a mirage in the desert as nearly all serious observers of the conflict in Palestine have unanimously reached the conclusion that Israel has effectively eliminated any remaining possibility for the establishment of a viable Palestinian state in the West Bank, especially one with Jerusalem as its capital. Patriotic Palestinians are not asking the PA to do more than it could. Certainly, we are not asking Abu Mazen and the hangers-on around him to wage a war of liberation on the apartheid entity. We know better than indulging in this sort of day-dreaming. But we do ask the PA to listen to the voice of the people and stop acting as a Gendarme for Israel, one whose function is to repress, torment and persecute our people on Israel’s behalf. We do ask, actually demand, that the PA stop the ignominious practice of security coordination with Israel. This type of coordination, which is nothing short of treacherous collaboration with the enemy, is an eternal mark of shame or badge of dishonor on the collective conscience of the Palestinian people. It really makes the PA regime a Quisling entity, par excellence. It must be terminated, now. I do realize that terminating this perfidious collaboration regime would have serious ramifications as far as the survival of the PA is concerned. I also realize that security coordination with Israel is the raison d’être for the PA as far as Israel is concerned and that its termination could actually mean the end of the Ramallah regime. In the final analysis, the PA might have to choose either saving itself from the prospect of downfall or saving the Palestinian cause from the prospect of liquidation. This is because it is increasingly clear that the realization of either goal can only be done at the expense of sacrificing the other goal. “We are all aware of the serious limitations preventing the PA from acting as a truly national entity serving the aspirations and legitimate goals of the Palestinian people. Amayreh makes it sound like, over 20 years, the PA/PLO had no choices..no choice to collaborate in the suppression of Palestinian resistance, dissent and struggle for sovereignty, no choice to be nepotistic, no choice to continue farce of negotiations that facilitated settlement expansion, no choice to siphon off from impoverished Palestinians for monies for their personal life styles. Surely , the decision to liquidate the PA/PLO it is now the right of the Palestinian people.